Rain or Shine there is so much fun to be had around Madison this week! Find out what objects of the past were used for in the exhibit Museum Detectives: What is it? and then design your own useful invention. Space is limited! Advance registration is required. Your challenge, if you choose to accept it, is to decorate a cupcake with the ingredients that are given to you while also following a theme. The winner of MPL's first Cupcake Wars challenge will receive a prize and have their winning cupcake immortalized on our library's Facebook page. Can your cupcake outlast a panel of Madison Public Library's 3 judges? 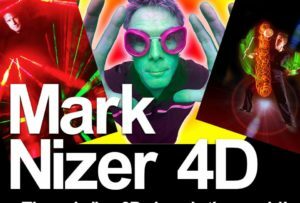 Enjoy Mark Nizer 4D...the only live 3D show in the world. This fast-paced and exciting combination of original comedy, world class juggling, movement, music, and technology delivers a spellbinding performance by the acclaimed juggler Mark Nizer. Combine both garden art and plant science in this hands-on planting workshop. Bring a box to take home two different kinds of planted bulbs. Registration required. Please call 973-326-7601 or visit morrisparks.net. Pyramid Mountain, 472 Boonton Avenue, Boonton Township. Sunday, January 14 @ 1 pm if renting shoes, 1:30 pm if bringing your own. Enjoy an afternoon of guided snowshoeing and trekking. Use your own snowshoes, or rent. $5 per person for trek; $15 for trek and snowshoe rental. Preregistration is required. To register and for conditions, 973.334.3130.